Media captionOne online gamer told the BBC he had experienced death threats online. A study carried out by an anti-bullying charity found that 57% of the young people it surveyed had experienced bullying online when playing games. In addition, 22% said they had stopped playing a game as a result. Ditch the Label surveyed around 2,500 young members of the virtual hotel platform Habbo, aged between 12 and 25. 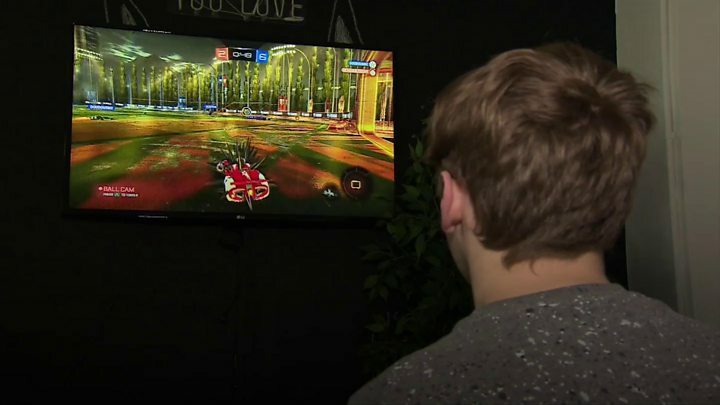 One 16-year-old gamer, Bailey Mitchell, told the BBC he had experienced bullying while playing online games since the age of 10. "If you're going to school every day and you're being bullied in school you want to go home to your computer to escape," he said. "So if you're getting more abuse thrown at you it's going to put you off doing anything social - it has for a lot of people I know, me included. "It's regular, every other game you're in, there's always someone who has a mic or types in chat. They'll call you some random abusive thing they can think of." Mr Mitchell said he regularly received death threats but enjoyed playing online as the competition against others made the games more challenging. "Now, when I get things, I'll reply with something funny or ignore it. But when I was 10 it was like: who are these people, why are they being mean to me?" Ditch the Label chief executive Liam Hackett said his charity was launching a global campaign to try to tackle the problem. "Bullying within online gaming environments is a real issue," he said. "We are standing for acceptance and tolerance within our games and making the internet a better place." Around half of the respondents said they believed extra human moderation would help prevent bullying from occurring. "Online games are often violent and based upon conflict," said Dr Ian Rivers, a psychologist at the University of Strathclyde. "However this study also shows us that we also need to look at the ways in which people interact online while gaming." "We note the concerns highlighted in the survey of Habbo users, but the survey relates to a Habbo audience alone which is not indicative of the games industry as a whole," said Dr Jo Twist at Ukie, The Association for UK Interactive Entertainment. The industry "consistently adapts" by introducing moderators, features to block or silence unwanted communication and issue advice to players and parents, she added. Is live streaming your life good business or dangerous?